Stainless steel is more affordable than silver, and this cool ring is a great example of what's hot. It's free-spinning inner wheel moves independently of the outer hub.. Measures about 3/8 across. 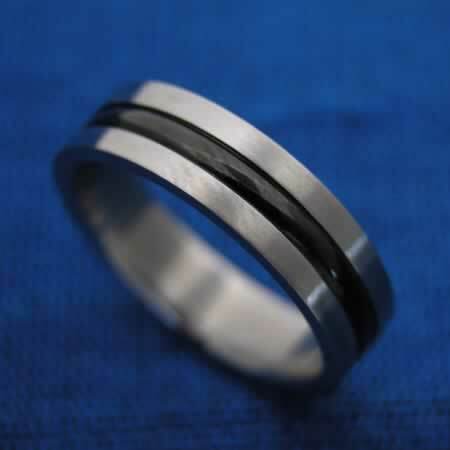 Stainless steel ring made in Thailand.